As I’ve focussed on more serious Chiropractic topics over the last few months, in this month’s column I’ve decided to lighten my discussion to something a little less clinical. A question we hear commonly is “Does knuckle cracking cause arthritis and why does my son/daughter do it all the time”? Let’s talk a little bit about arthritis, with the most common form being Osteoarthritcs (OA), unlike other forms of arthritis like Rheumatoid Arthritis (RA), OA is not a disease process but is basically wear and tear. 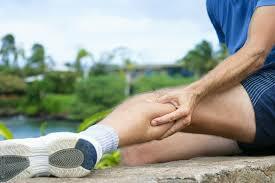 This occurs over many years and is more common in people who have sustained trauma through the affected joints. This trauma can be due to an injury or an accident but is most commonly due to repetitive microscopic trauma through the joint due to a repetitive job or sporting pursuit. So does knuckle cracking cause arthritis? No, a recent study in the Journal of the American Board of Family Medicine compared people that regularly crack their knuckles and the onset of OA in their hands1. Interestingly they found in patients aged 50 to 89 years, “a history of habitual knuckle cracking - including the total duration and cumulative exposure to knuckle cracking - does not seem to be a risk factor for hand OA." The authors also discussed why an individual might develop the knuckle cracking habit in the first place, and suggested that it might offer relief to perceived joint stiffness. It has also been suggested that the tendency to crack the knuckles is due to the close relationship between the hands and the sensory part of the brain. In essence, manipulating the finger joints stimulates the sensory part of the brain and may serve as a 'manual caffeine' jolt to give us a mental lift. Whatever the reason for the habit, it doesn't seem to cause us any problems. 1. Deweber, K. et al. Knuckle cracking and hand osteoarthritis. Journal of the American Board of Family Medicine, 2011 Mar-Apr;24(2):pg 169-74.0156.